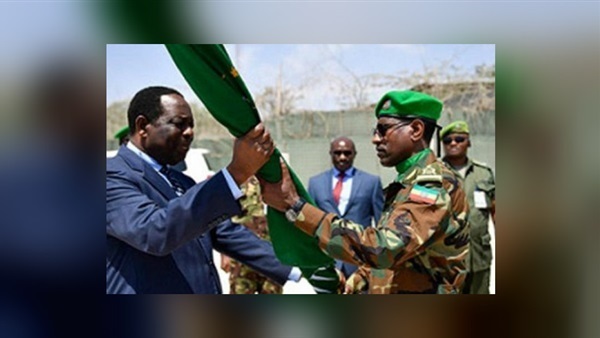 The African Union Mission in Somalia (AMISOM) on Saturday announced the appointment of Ethiopian General Tejabo Yelma as its new leader, replacing Ugandan Jim Besigye, who was appointed to this mission in January, 2018. The representative of the Chairperson of the African Union Commission in Somalia, and the head of the mission of the Union, Ambassador Francisco Madera, pointed out that the task of Tejabo is very serious and important, and there is great confidence in his military capabilities to eliminate terrorism and extremism in the country. Madera described Besigye as an extraordinary commander of the troops, who suffered a great deal of hardship because of the terrorist attacks that he was waging against the troops. General Tejabo has 34 years of experience in the Ethiopian army and has been in the military ranks until he was appointed a senior general in the Ethiopian armed forces. Prior to his appointment, he was a member of the Defense and Management Department at the Defense Ministry. In addition, he holds a master's degree in business administration, a degree in command, military sciences and a diploma in law. He is the first commander of Ethiopia to be appointed a commander of that force since its establishment in 2007. He represented the army in the Ethiopian parliament from 2011 to 2016 before that. Ethiopia has refused to assume the leadership of the African Union mission in 2018, against the backdrop of tensions with Somalia and Eritrea, but after the arrival of Ethiopian Prime Minister Abiy Ahmed, it agreed to the request of some countries of East Africa, on assuming the task of the presidency of African forces, with the increase of terrorist operations of the Mujahideen Youth Movement in Somalia, against the Ethiopian forces.